Home » First-Time Buyers » Pre-Construction Condos: Should You Use a Realtor? The answer for this is a definite YES. 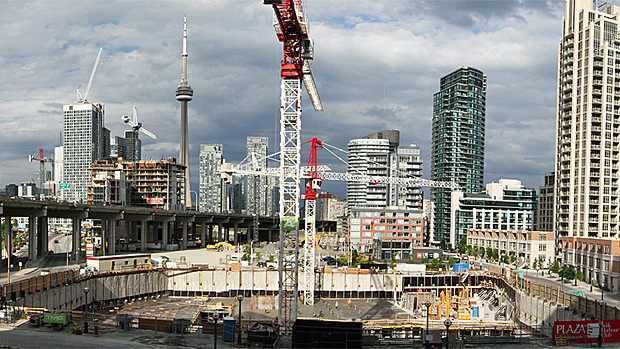 I specialize in helping buyers navigate through the complicated process of buying new condos. There are many pitfalls and disadvantages of buyers going it alone when dealing with the builders’ sales staff. Above all else, realize that the builder’s sales team works for the builder and only the builder. That is where their loyalties lie. They simply have zero interest in protecting you or your rights, or in getting you the best deal or best location within the building. By using a pre-construction condo expert such as myself, you get the advantages of comparative shopping as well as my specialized knowledge of these complicated transactions, which can potentially save you both legal and financial problems down the road. It is important that I accompany you, whenever you visit a new condo site. By visiting a new condo sales centre on you own, I can be immediately excluded from representing you in the transaction. I can gain you access to VIP Broker sales vents. This is where the best prices and floor plans are available for sale. By the time the building goes to public market, often the choice units have been sold with up to 50% of the units being taken before the general public gets to pick any suites. VIP realtor events help you get better suites and prices. I know how to ask the right questions – and many you don’t know to ask. I can guide you through the important steps during the 10 days of the Cooling Off Period. Skipping these steps can create problems. I can help negotiate the agreement in your best interest. Many things are negotiable and your experienced agent can help you navigate through this process. I have access to MLS. This is important for pricing advice so that you can compare both new and resale properties and be better informed on what is a fair price. I can explain the importance of an assignment. Once the property is constructed there is interim occupancy then there is registration. You as a new buyer may want to assign (sell your rights) your agreement at any time during this lengthy period and you may be just selling your paper. The purchase agreement must spell out the fees and conditions for this privilege so that you know these well in advance. Many builders will deny this right and you should know this before you buy. I understand how to read the building plans. It is important to know where the garbage chute, elevators and stairwells are, as well as your underground parking space, storage locker and additional amenities such as the pool, party room and gym. I have a good general understanding of the neighbourhood and any potential new developments that could restrict your views later on and cause traffic issues. I can help you coordinate all of the closing costs and details with your lawyer. I can explain how the HST will affect your closing costs and can help determine whether you are eligible for any HST rebates on your purchase. I can explain to you how the interim occupancy costs work, and more importantly, how the builder calculates these charges. I can explain with you the changing reality of your monthly condo fees. The builder generally underestimates these fees for a variety of reasons, and you should be aware that the fees that may be quoted can escalate and sometimes very dramatically in the first few years. You probably should budget for increases of somewhere between 10 and 20%, though many actual condo fees have gone up significantly more than that. I can save you tens of thousands of dollars on a pre-construction condominium. I can help you negotiate everything from upgrades to a cap on your development closing costs, which can be significantly more than a resale condo. The builder has also built in the fees to the buyer’s agent – in fact, they do not reduce the purchase price if you don’t use one. This transaction has so many nuances and subtleties that it is definitely worthwhile to get the help of an experienced professional, such as myself.